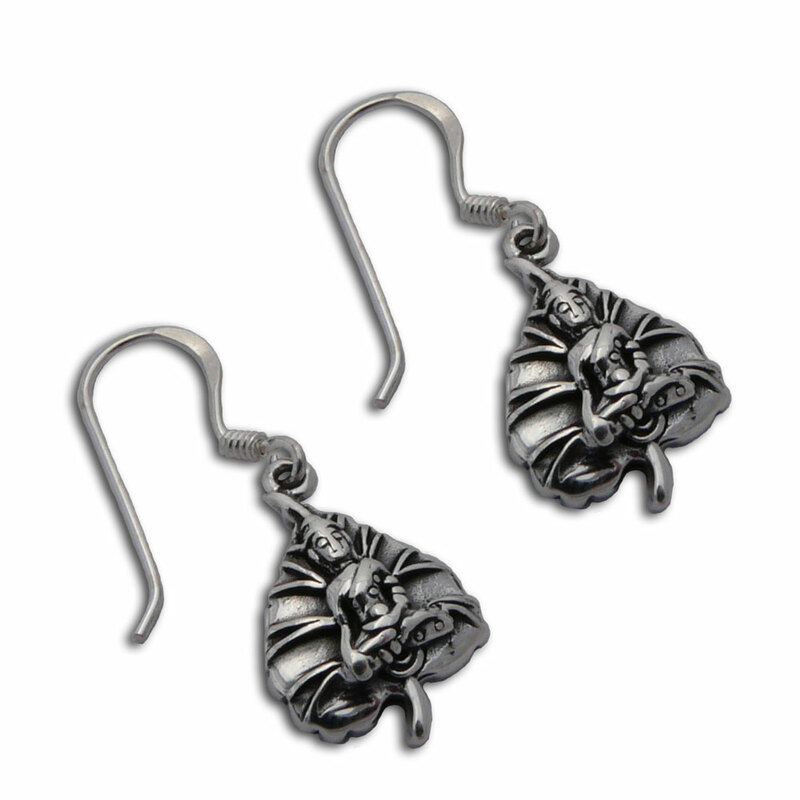 EC910 Sweet little bodhi leaf earrings with Buddha meditating on them. The bodhi leaf a a symbol of enlightenment. Buddha is a great symbol of compassion.